Tulsa Adventist Academy welcomes students regardless of religious beliefs. The educational, social and recreational activities are centered upon Christian principles; all students are expected to honor and respect these principles. Tulsa Adventist Academy admits students of any race, color, and national or ethnic origin to all the rights, privileges, programs, and activities generally accorded or made available to students at the school. Tulsa Adventist Academy does not discriminate on the basis of race, color, or national and ethnic origin in administration of its educational policies, admission policies, and other school administered programs. Students who earnestly desire to attend TAA, and whose financial resources do not permit attendance, may request student aid form the Student Aid Committee. Applications for financial assistance are due by the deadlines listed in the calendar. Aid is available only as individuals contribute to the student aid fund and will be distributed based on a needs-based formula and only if the funds are available. Deadline for 2018-2019 Student Aid Application is March 1, 2018. 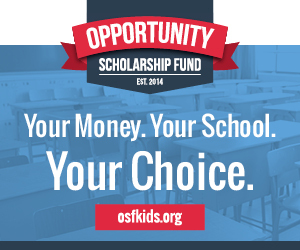 -Please fill out the Financial Aid application below and the Opportunity Scholarship Fund Application and turn in the applications by the deadline. TAA offers a limited variety of work opportunities. All students seeking employment at the school must complete a work application yearly. Work applications are available at the front office. Completed applications must be submitted and cleared by the business office before a student can start work. Students employed at school must be prompt and reliable. Students receiving Student aid funds need to actively seek employment on or off campus and may lose their aid if dismissed from work. International Students and ESL Tuition information please visit the ESL webpage.